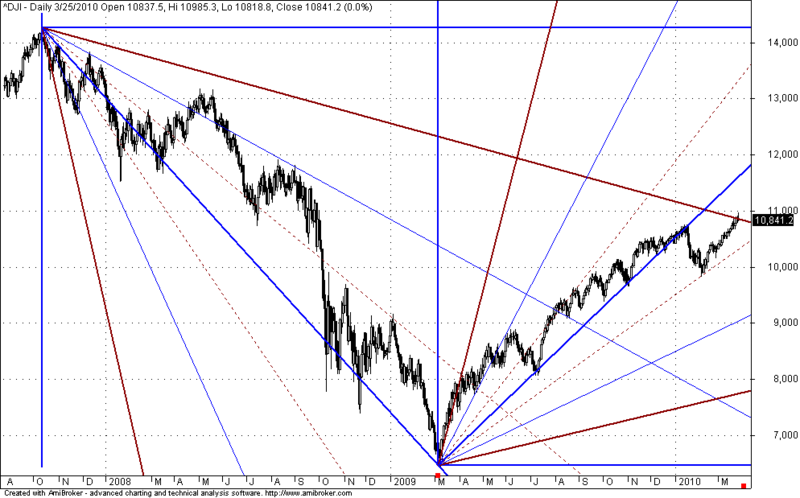 the GANN Resistance zone after closing above long term GANN Resistance 10,838. But the very next day if had falled and closed below 10,838 decisively. Even yesterday when US market opened and trying test near the 11,000 zone i feels like 11,000. But When i woke up in the morning it is a big surprise for me. I took my Amibroker and downloaded the dowjones EOD data. I was surprised. 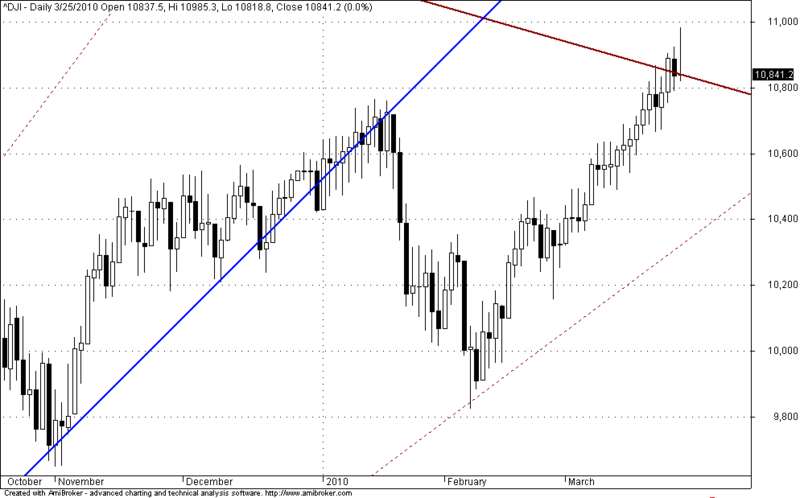 Still Dow Jones is very closer to the GANN Resistance level. Any Fall below 10,838 should attempt to target the first support zone 10,400.